Making L.A. gives background into the inspiration for and process of researching and creating the seven paintings that became my thesis. The zine was created to accompany and contextualize the exhibition of the work in Los Angeles in December 2017. The 2.75″ x 3.75″ booklet was designed to fold into 14 pages from a single sheet of 8.5″ x 11″ paper, using a trifold structure to feature continuous cover and center pages. 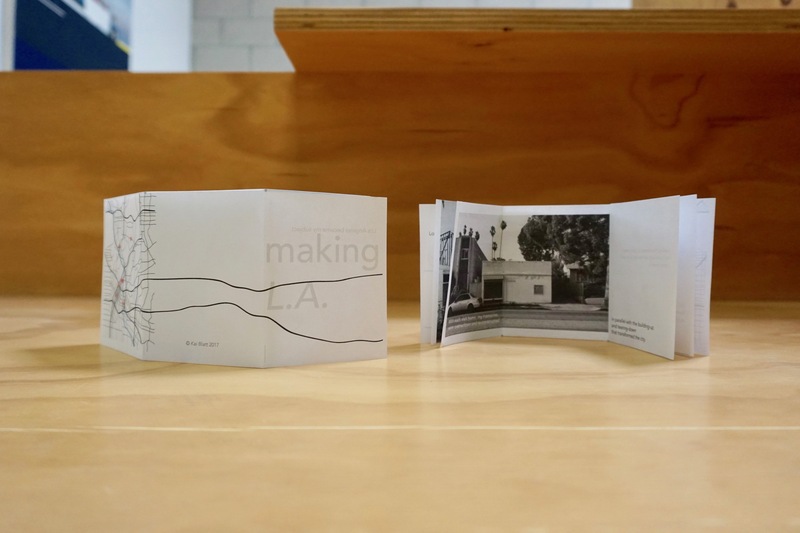 To fold your own copy of Making L.A., print the following document double-sided (flipped along the vertical edge) and cut along the horizontal gray lines. Next Project American Institutions: U.S.P.S.